It's Monday. I hope your weekend was well spent. Here's how I spent much of my weekend. Yes, there are plenty of mistakes that you can see even in that wide show. It's been about 3 years since I painted anything, and before that, I wasn't that great. 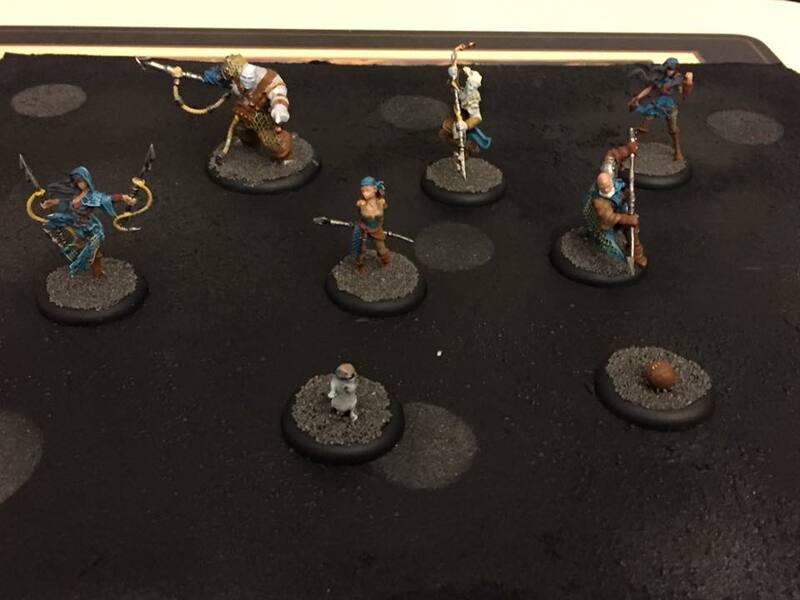 But hey, they're painted. It's all about making your table look good. 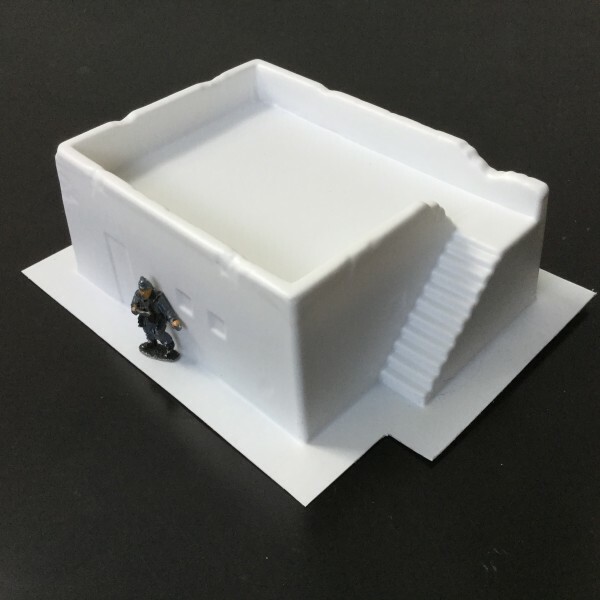 And having good terrain will also do that. 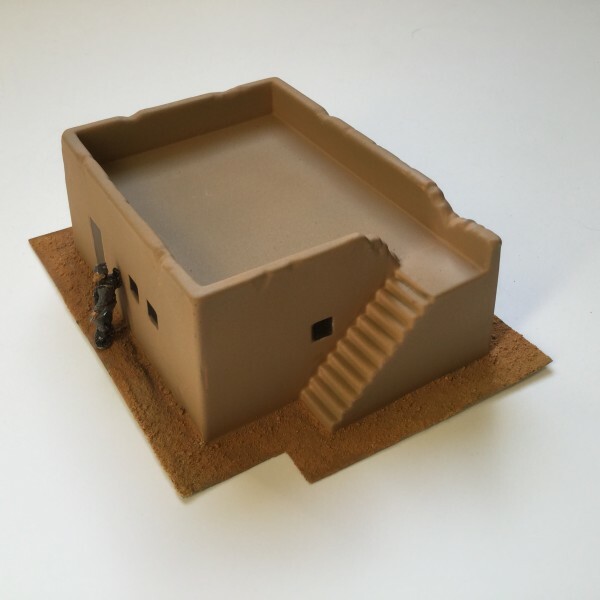 Today in the Terrain Corner we have: Amera Plastics Releases New 28mm styled North African Desert Building, Heroic Maps Celebrating 6 Months of their Patreon Map of the Month Club, and Dust Town Gaming Mat Available From Pwork Wargame. March will be our 6th Month Anniversary on Patreon, and we are so excited and grateful to now have over 300 patrons. 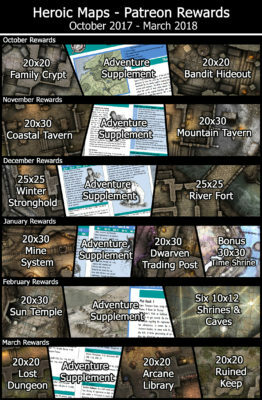 Our $5-a-month rewards bundle has grown along with this number and now includes three exclusive 20x20 maps (often larger sizes) and a 5 page adventure supplement to accompany our main Map of the Month. Patrons also get occasional free tiles and big discounts on many of our new releases at DrivethruRPG. If you have been thinking about supporting us at Patreon but have been unsure, take a look below at everything our patrons have recieved since September. 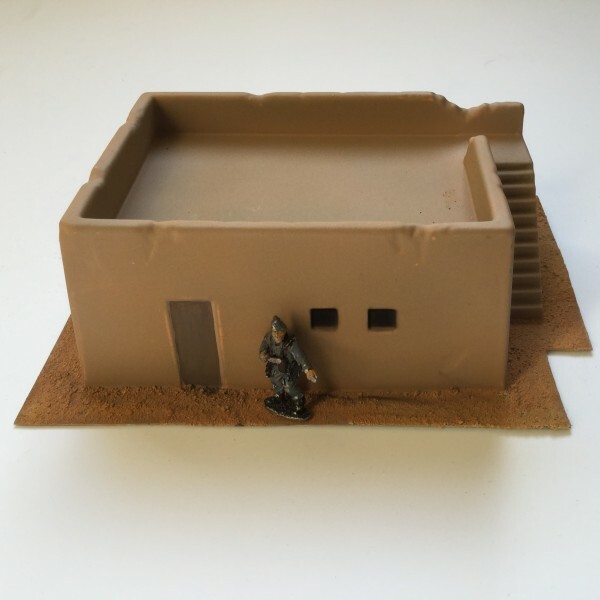 There's still time to get March's rewards by becoming a Patron before the end of the month. 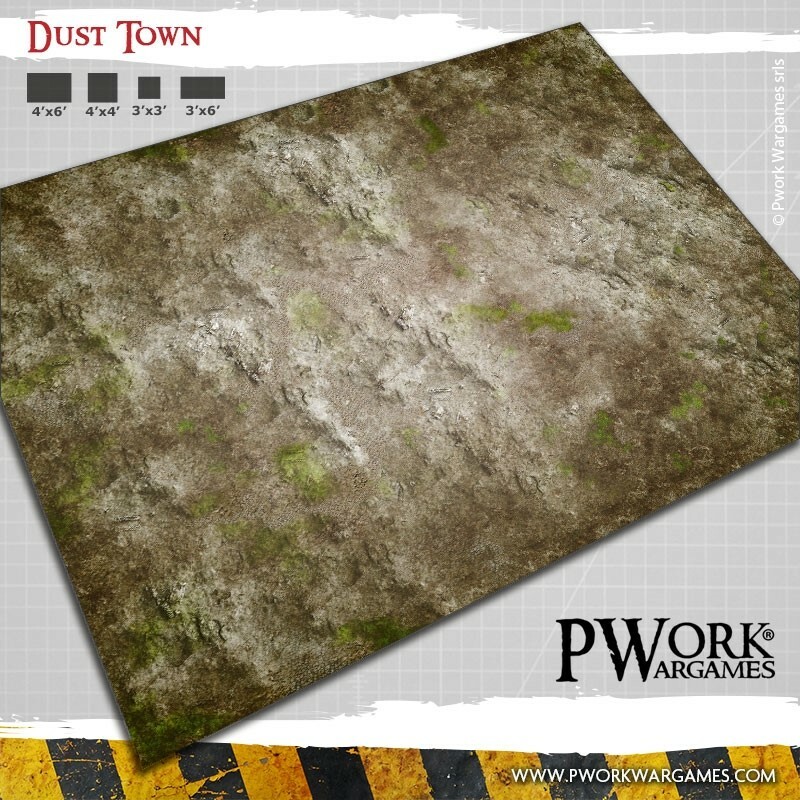 Play your battles a small town, now covered with a layer of dust, debris and weeds, on a desolate landscape, where the bare earth alternates with what remains of an urban pavement!